Dave Brooks, 33, will captain England at the 2018 IKF European Korfball Championships in Netherlands. Brooks who also captains Trojans Korfball Club in Croydon, South London secured the club’s 11th consecutive England Korfball League championship title at the Copper Box Arena back in May. Speaking about the announcement Brooks said: “It’s an amazing honour to be selected as captain for the European Championships. “We have an exciting mix of young upcoming talent and experience in the squad this year giving us a serious chance of challenging for that fiercely sought after medal position. “There’s a great atmosphere within the squad, with the younger players really pushing at all times and it just creates a great work ethic for everybody involved. We will need that competitive edge when we are out in the Netherlands. “We have a different approach than previous years – the coaching team are looking to develop player’s game insight and decision making, and the players are responding well. “Our preparation has been going well. We have been working with University of Kent – School of Sport & Exercise Sciences team. The final will start at 4pm local time on Sunday, 21 October 2018 in Heerenveen. 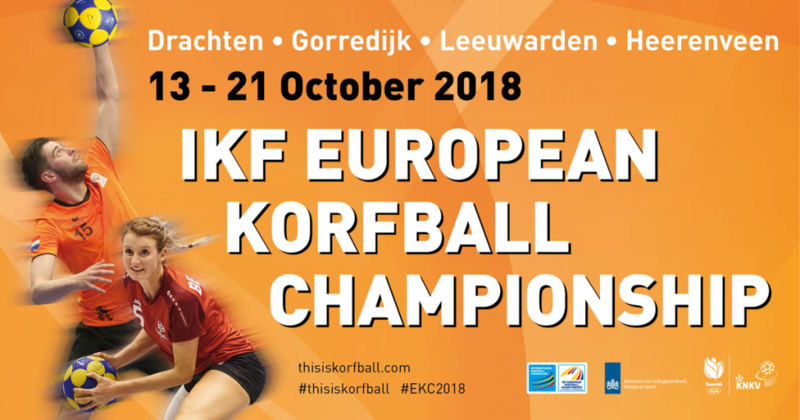 England’s opening match at the European Championship will be against Poland on Saturday, 13 October 2018 in Gorredijk. For the very latest news and updates search #EKC2018 on social media.